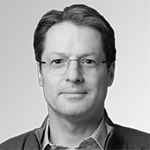 Pierre Rodocanachi is the non-executive Chairman of Zephyrus Partners. Pierre is a former Senior Vice President and Chairman of the French Advisory Board of Booz Allen Hamilton Inc., one of the world’s largest strategy and management consulting firms, now called Strategy&. He has notably served as a member of the Board and Operating Council of the company, and was the Managing Officer of its South European region. Prior to joining Booz Allen Hamilton, Pierre headed the planning department of the French Ministry of Industry for five years, and was the minister’s cabinet member in charge of science and technology. 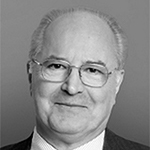 In 2002, he created an independent advisory structure, MP Conseil, to provide strategic financial guidance to family groups operating large industrial or service companies. Pierre currently serves as a director on the board of several multinational companies, including Vivendi S.A., ENABLON, Group Alain Ducasse, as well as several non-profit organisations. He also served as President of the American Chamber of Commerce in France from 1997 to 2000. He is a Chevalier of the Legion of Honour and of the French National Order of Merit. Amédée co-founded Zephyrus Partners in 2007. Throughout a career that has included being Vice-President of the Insurance & Pension Group at JP Morgan and founder of Aleva Advisor LLP, he has never been comfortable with accepting the status quo and has originated, advised on and structured ground-breaking transactions for the sponsors and pension funds of European and North American multinational companies. At Zephyrus, he leads on funding, covenant and M&A issues and is widely recognised as the ‘go-to guy’ for client’s top senior executives when creative thinking is needed to deliver viable solutions to their pension problems. He is supported by an exceptional team with a skill-set capable of addressing all pension issues. Amédée was an early advocate of Integrated Risk Management for pension schemes and continues to seek to set the agenda for improving industry practice. 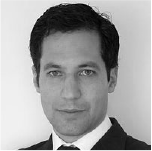 Christophe co-founded Zephyrus Partners in 2007 following 16 years in investment banking that focused on identifying, structuring and implementing ALM strategies for European institutional investors. 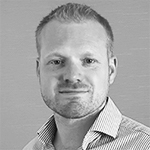 Outside his management and business development responsibilities, Christophe leads the investment and risk management practice which consists of a strong team of investment professionals with high level quantitative analytical skills. He works very closely with key sponsor executives to help define corporate pension objectives, to develop complimentary investment strategies and to engage with scheme trustees and their advisers on implementation. To maintain leading-edge investment thinking, Christophe engages in active dialogue with best-in-class asset managers to absorb and challenge their market and strategic views. Aled joined Zephyrus in 2019 from KPMG, where he spent nearly 15 years advising a broad range of companies on all aspects of pensions. Clients feed back that one of his strengths is his ability to translate the complexities of the pensions landscape into plain English. Whilst at KPMG, Aled was recognised for building strong and trusted relationships with his clients. This helps him understand each client’s organisation and objectives, which informs his advice and ensures the pensions strategies he develops complement the broader business’s priorities. He is a Fellow of the Institute of Actuaries, and studied Mathematics at the University of Oxford. Orlando brings his strong understanding of the legal and regulatory funding framework to developing and implementing robust solutions. He has worked with many clients on pension issues including funding, benefits, investment strategy, covenant, managing/transferring risks, accounting and tax/regulatory change. Before joining Zephyrus Partners in 2010, Orlando worked at Clay & Partners (now Aon) and was then a partner in the pension practices of Arthur Andersen and Deloitte. He has nearly 30 years’ experience advising employers, directors and trustees on their pension arrangements as well as advising regulators and new providers of buy-out products. 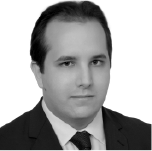 Orlando has personal experience as both a trustee and as a scheme actuary. He is a Fellow of the Institute and Faculty of Actuaries. Redwane joined Zephyrus Partners in 2013, having previously worked in equity derivatives trading with Société Générale in New York. He has gained valuable practical experience in financial markets and has the ability to design clear solutions to complex issues. At Zephyrus, his focus is on asset-liability management, asset allocation, investment strategy and risk management. Redwane graduated from the Paris Graduate School of Economics, Statistics and Finance (ENSAE ParisTech) and holds a Master of Finance degree from MIT Sloan School of Management. Julien’s background in corporate risk management combines well with a clear understanding of the pension funding framework to allow him to identify and implement solutions tailor-made to the specific circumstances of our clients. His core involvement at Zephyrus covers investment, risk management, covenant and M&A. 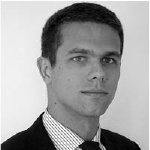 Prior to joining Zephyrus Partners in 2009, Julien worked for 5 years within the Insurance and Pension Group of JP Morgan and also has extensive experience marketing and structuring interest rate, inflation and credit derivatives for French and Belgian corporations. Julien graduated in 2003 from the Ecole Centrale de Paris and holds a Masters in Applied Mathematics from the University of Cambridge. Dhiran joined Zephyrus Partners in 2016 having spent 5 years as a Consultant at Willis Towers Watson. He has gained comprehensive experience working in teams advising both corporate and trustee clients ranging in size and complexity on issues concerning their DB pension obligations. His focus at Zephyrus is applying his actuarial and liability modelling expertise to a number of areas including scheme funding, benefit design and financial reporting. 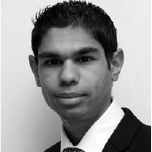 Dhiran is a Fellow of the Institute and Faculty of Actuaries and graduated from the University of Warwick in 2010 with an Honours degree in Mathematics, Operational Research, Statistics and Economics. Rajiv has over 10 years’ experience advising both corporate and trustee clients on all aspects of pension scheme management. At Zephyrus he brings strong analytical skills and attention to detail as vital components in solving complex problems in the areas of scheme funding, company accounting, liability management and investment strategy design. Prior to joining Zephyrus in 2011, Rajiv gained valuable experience across a broad range of trustee and corporate clients at Aon Consulting as well as getting involved in a variety of internal and one-off client projects. Rajiv has an honours degree in Mathematics from the University of Warwick, a Masters in Actuarial Finance from Imperial College Business School and is a Fellow of the Institute and Faculty of Actuaries. Rowan joined the team in 2018 following 15 years at Ernst & Young where he specialised in advising corporates and trustees on covenant. Rowan’s experience includes leading day to day on a number of complex, precedent setting cases, including solvent scheme restructurings, cross-border M&A, regulatory mitigation and RAAs. 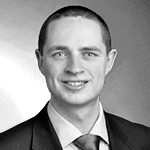 Additionally Rowan has extensive experience in restructuring and corporate finance. At Zephyrus, Rowan brings his covenant and pensions regulatory expertise to help shape our clients’ strategies for DB sustainability. Rowan is a chartered accountant and graduated with a degree in economics from the University of Bath. Registered in England and Wales. Company registration number: 6316253.